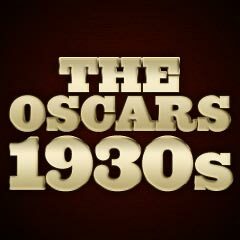 For just a few years - for films in the years 1933-1937, awards were given for Best Assistant Director. This year, there were seven winners and an additional eleven nominees! 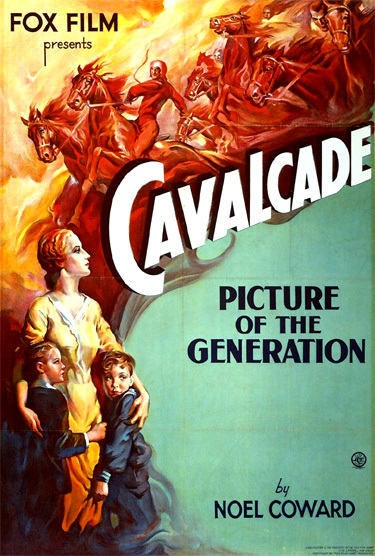 Remarkably, the Best Picture and Director winner were for the same film - Fox's and director Frank Lloyd's over-produced Cavalcade - a portent of other British costume drama award-winners in future years. The oft-forgotten Fox film, based on Noel Coward's dramatic stage play (adapted by Reginald Berkeley), was honored with four nominations and three wins - Best Picture, Best Director, and Art Direction/Decoration. George Cukor for Little Women (with three nominations and one win - Best Adaptation), the best of many film versions of Louisa May Alcott's Civil War story of the March family of four sisters. Walt Disney again won an award (his second consecutive honor in this category) for his Technicolor Short Subject: Cartoon, The Three Little Pigs. Its optimistic hit theme song: "Who's Afraid of the Big Bad Wolf?" (based upon the tune of Happy Birthday) became a Depression-era anthem. It was one of the earliest films displaying 'personality animation' - each of the three pigs had a distinctive personality. During his acceptance speech, he referred to the statuette as "Oscar" - and was the first winner to publicly acknowledge the award's pet name (although the Academy didn't officially adopt the nickname until 1939). Alexander Korda, director of Best Actor-winning The Private Life of Henry VIII was not nominated. Due to the fact that the category of Special Visual Effects hadn't been introduced yet, and it was released by the minor RKO film studio, the adventure/horror film from co-directors Merian C. Cooper and Ernest B. Schoedsack - King Kong, also failed to win any nominations!